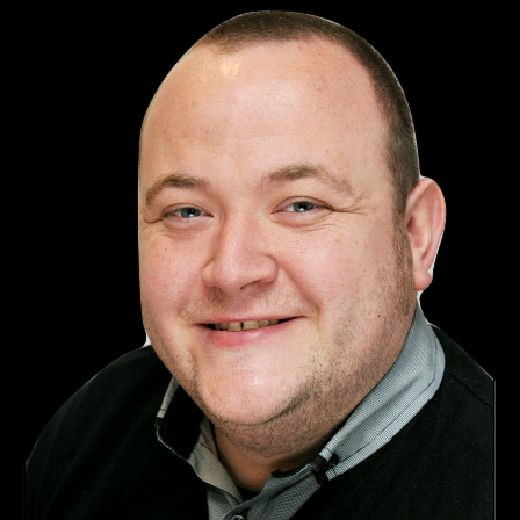 Warrington v Galahad: Can Barry from Sheffield have last laugh against dismissive Leeds, Leeds, Leeds mob? One line, designed to leave the partisan audience into stitches pretty much summed up a thoroughly one-sided and rather uncomfortable press conference. Barry from Sheffield - or Kid Galahad as he is better known - was summoned to Leeds along with hometown hero Josh Warrington to announce details of their showdown for the IBF featherweight champion. The June 15 date at Leeds Arena was not what Warrington, his team or his promoter wanted. And that was something none of them tried to hide on Wednesday afternoon. Typically, boxing press conferences are respectful affairs. They are rather sanitised unless the fighters themselves decide otherwise. 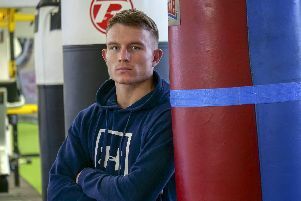 Warrington's line above regarding the string of opponents he has shared the ring with was just one of the dismissive jibes thrown the way of Galahad and trainer Dom Ingle, who happily took on the role of pantomime villain to take some of the heat. Promoter Frank Warren joined in with the sneering and even event host, respected boxing commentator John Rawling, hardly addressed him in glowing terms. 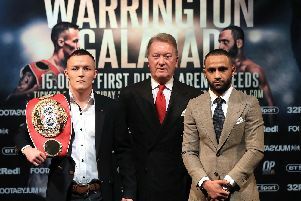 Galahad has known all along he will be in for a hot reception at a noisy Leeds Arena where the vast majority of what is likely to be a sell out crowd will be fully behind Warrington. And he got a taste of that in a press conference where he was painted as unworthy, and treated like a competition winner more than a man mandated to challenge for Warrington's title by the IBF. Warrington would be wise to recall his own experience as he made his way up the boxing ladder. Dismissed as a mere ticket seller and accused of riding the coattails of his beloved Leeds United to harness the club's fanatical support, he was consistently underestimated and talked down. Even in winning the world title by dethroning the highly respected Selby, it was labelled a fluke, a one-off that would be exposed when he defended against Frampton. Ultimately Warrington proved all the naysayers and doubters wrong with two stunning performances to comfortably win two fights against elite opposition. And, should he get the unification fights he so strongly desires, he will undoubtedly be labelled the underdog again. So it seems somewhat strange he would be so quick to talk down the threat of Galahad. There could very well be an element of playing to the gallery - and he certainly did that with the 'Leeds, Leeds, Leeds' mob in attendance that heckled every word Galahad uttered. Warrington, over the years, has proven himself to be one of the sport's good guys. Respectful and humble. But his dislike and lack of respect for Galahad is clear to see. It is unlikely he will be underestimating Galahad come fight night. But if he does, he could be in for as tough a night as Selby was when he believed he could handle Warrington when struggling at the weight. Though the drugs ban - which will clearly be a regular topic of conversation through the build-up to this fight - undoubtedly has tainted Galahad's career, his worth as a title contender should not be doubted. P rior to his suspension, he was one of the hottest prospects in British boxing, showcasing the slick and awkward style of the Ingle gym as he looked a special talent. And since the ban, he has worked his way up the hard way, away from the glitz and glamour of his contemporaries. Galahad has earned his shot and he will be just as determined to wrestle that title away as Warrington is to continue to grasp it. Whether his awkwardness and smarts can overcome the phenomenal engine and relentlessness of the Leeds man remains to be seen. But he will no doubt relish the opportunity to silence those 'Leeds, Leeds, Leeds' chants on June 15. And Barry from Sheffield will be the toast of the Steel City if he does.